There's nothing complicated about house cleaning that creates an inviting, efficient, and well-run home. A few simple techniques and a plan for for prioritizing tasks can make light work of household chores. And the truth is - it doesn't take endless housekeeping hours with a mop and bucket in hand - or some advanced degree in building maintenance - to keep an organized home and the various housekeeping systems inside running smoothly. All you need are a few simple housekeeping techniques and a plan for for prioritizing your tasks to make light work of household cleaning. Everything you need to know to put - and keep - your home and your family cleaning team on track is included here. We'll talk about cleaning smarter and quicker with kids, organizing room-by-room, lightening the laundry load, corralling kids, and even preparing the minivan for calm carpools and relaxing weekend getaways. Whether your goal is to save time house cleaning, to stretch your household budget, or to make running a home less stressful, you'll find the answers here. Why Involve The Family in Household Cleaning? Central to my housekeeping strategy is an organizing the entire home - room by room - around the needs of every member of the family. After all, the reason most homes look war-torn is because rooms haven't been set up for daily living by parents and kids. To make matters worse, often one adult - usually Mom - has sole responsibility for household cleaning and organizing all the details (which is why moms sometimes get that funny, shell-shocked look around 7 p.m.). This website helps you (the generals) not only gain control of your home and keep it running smoothly, but it also shows you how to enlist even the littlest privates in the housekeeping campaign. You'll find there will be room for every drawing, school paper, and test that arrives each day - and even the littlest privates will know where that is. The wild carpool routine will be tamed, the family plan for buffing surfaces will be in place, surprise visits from friends won't be dreaded, and even the most domestically challenged will be ready in a flash to host unexpected in-laws overnight. With work, kids, and leisure pursuits all competing for your attention, house cleaning understandably may not be the highest priority. Still, if you're like most people, you consider a reasonably clean home and not having piles of laundry to be not only a goal but essential to your peace of mind. If you are struggling with house cleaning (you're normal!) you don't have to throw in the towel - I've got lots of house cleaning tips to help, including ideas on how to get the kids on board! Household cleaning is actually easier than it might seem, and if you do housekeeping right, it makes an organized home easier. 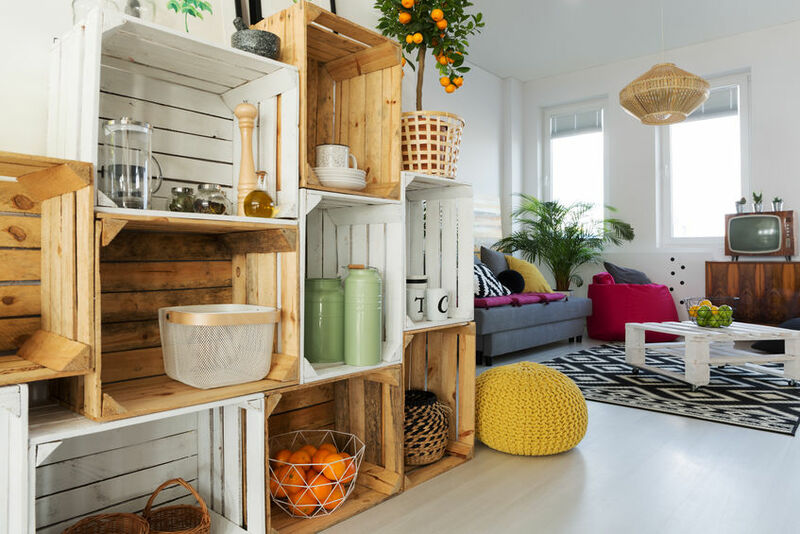 With our homes acting as centers for both work and family life, we are accumulating more stuff inside our homes than ever before. Having a bigger house, more closets, or going full minimalist aren't the only options. Here you'll find house cleaning systems for organization and tips to keep it that way. Here you'll find house cleaning strategies and tips for an organized home to help simplify daily life so you can make the most of your family time. You'll also find tips on choosing and caring for family pets, as well as tips for the house cleaning that goes along with them.